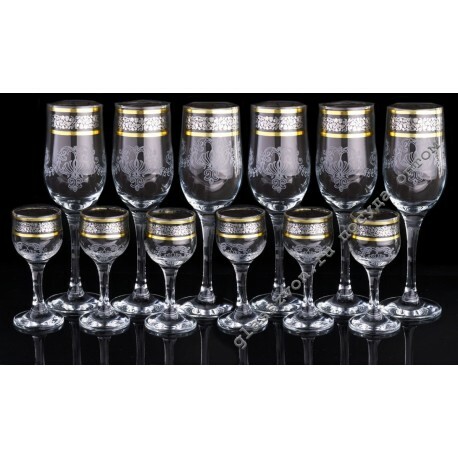 "Pretty big and beautifully decorated, a set of goblets of goose crystal with engraved platinum, will provide any drinking establishment with quality glassware! The elegant engraving of the Baroque, and subtly emphasizing this style, gold plating, attracts with its uncommonness. 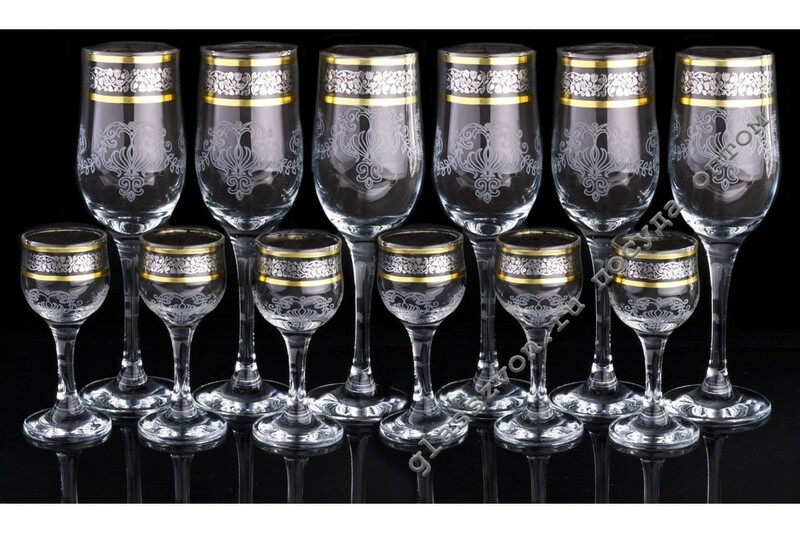 Glasses with engraved goose crystal are famous for their high quality, low price and incredible demand. Buying this product in bulk, you get the opportunity to get a good revenue after the sale. Delivery of goods is carried out from one box to the whole wagon, which will allow you to fill the goods in the warehouse in any quantity.